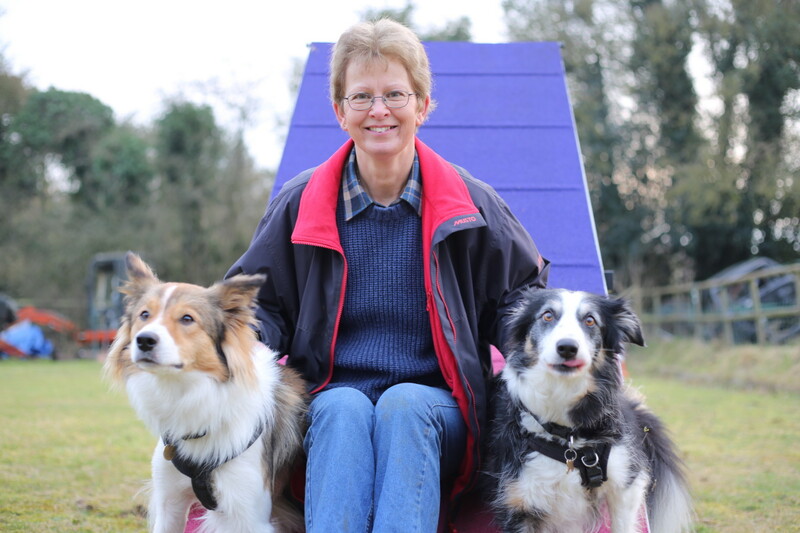 Kyte lives with Jackie and her seven other agility Border Collies. 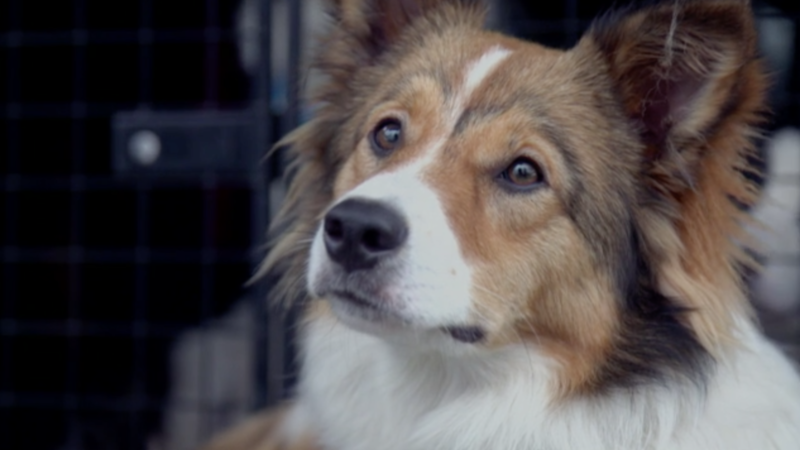 Jackie competes every year between March and October, and the agility world is a lifestyle that means so much to her. Her dogs have won many competitions and work to the highest level. With so many dogs under her wing, Jackie is no stranger to Fitzpatricks, and one of her best dogs, Fern, has had multiple surgeries including two total hip replacements. 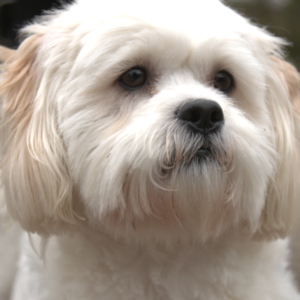 Fern still competes today and is a shining example of how well dogs can do after joint replacement. Jackie is hoping some of Noel’s veterinary magic will work on 18-month-old Kyte. Jackie noticed that Kyte had been on and off lame since five and a half months old. Jackie didn’t want to leave the problem without doing anything and she was keen to start agility training with Kyte, so she brought him to see Noel. 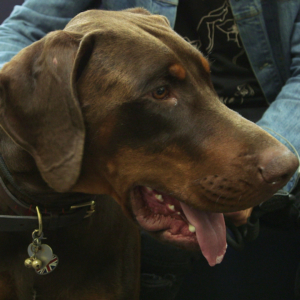 Jackie hoped the problem was related to an accident Kyte had had whilst charging around as a puppy, but she was also aware that it could be a condition called Osteochondrosis Dissecans (OCD). Young dogs can develop OCD when the cartilage in a joint develops abnormally, leaving a flap or cartilage with painful bone beneath. Unfortunately for Jackie and Kyte, CT scans confirm that the problem is OCD. One option was to have a synthetic plug inserted into the hole left by the damaged cartilage, but Noel suggested an even more cutting-edge solution, which Jackie decided to try. In theatre Noel used an arthroscope to visualise the OCD flap in Kyte’s shoulder and found that it was in a difficult position to access. Noel made a bigger incision so that he could access the lesion and remove the flap of cartilage. Next, he uses a pin to make holes in the surface of the lesion to encourage blood flow into the area, a technique called osteostixis. Finally, he injects a mixture of fibrin, a natural glue, and cells taken from Kyte’s bone marrow and blood. Noel hopes the mixture will help combat inflammation in the joint and promote regeneration of new cartilage. It may have just been a one-hour surgery, but for Kyte it could have made all the difference to his future agility success. In the next four months budding agility champ, Kyte, had been working hard to return to peak fitness. After a final sign off from Noel, Kyte is back with his energetic and athletic family to finally start his agility training. It is remarkable to see him doing so well and Kyte is a testament to the new frontier of regenerative medicine.